My Quest for a Hakama that is as Serious About Training as I am. 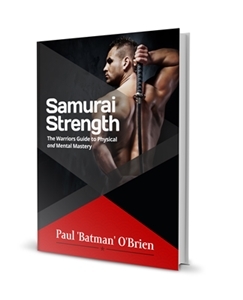 The Samurai Workshop Review is based on a bulk order I placed for Christmas of 2013. My order, placed on 11/10/13 was both practical and intellectual in mind. I received no special treatment and they were unaware I was placing a review for the purpose of review. 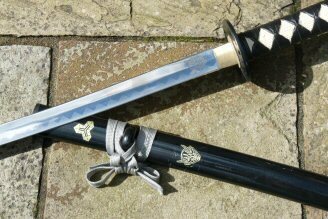 I'm am not alone when I say there have been MANY of us training in Iaido and the Japanese Sword Arts that have long searched for best keikogi and hakama to train in, without being forced to rob a merchant house for a Deluxe handmade Japanese set up. Even then, such beautiful gear isn't worn for the gritty daily training in our arts...so what is one to do? Let me clarify the need for the Samurai Workshop Review. In my experience that's a hard hakama to find my first was from E-Budo, an expensive tetron affair that clung to me like a sickly illness along my legs and was shiny at the knees after a few months. The kekiogi ties quickly frayed and unravelled at the seams, and during one energetic class was torn right off. Next up was my Nine-circles hakama and keikogi...again fairly expensive. The Keikogi was a Polyester Rayon mix and the Hakama, Tetron. This was the Miyabi range. This fast became my default training kit...though again over time, a few months the hera (back peg) ripped from the hakama...the largest problem with the Miyabi range was good and hard wearing. The greatest issue was the left hand side needing constant adjustment at the front, to the extent I sowed a a new hera on to the front of the hakama too. To prevent the slippage. The other problem was the keikogi was quite tight across my chest. ( I admit to having a broad muscular chest and wide shoulders - certainly bigger and wider than most men my build and size - I do a lot of Isometrics - I don't think this would be an issue for most Iaidoka). 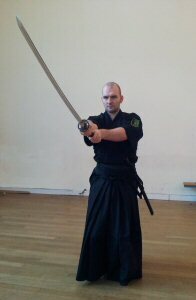 So when I got word via their fantastic Facebook page that The Samurai Workshop was now selling training gear - well I HAD to try it. 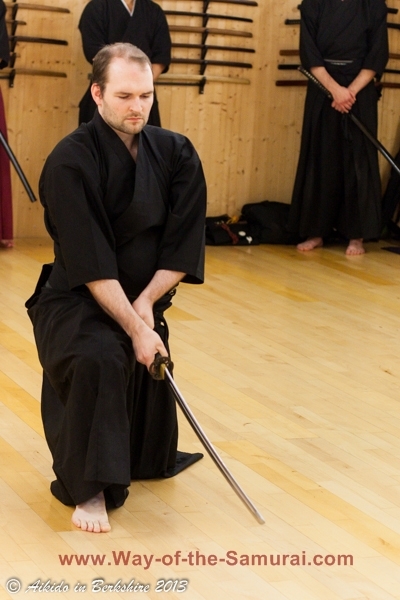 You see The Samurai Workshop is one of the single best Iaido and Katana based sites out there. Mine included - but the real gem is the Facebook page. I love that Facebook page. 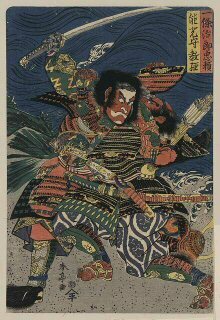 There are nearly daily updates, fascinating articles and insights that you simply don't find anywhere else (except perhaps when I'm discussing historical fittings and Ryū specific swords...)...but the best thing - it's the pictures. They have some of the NICEST sword pictures out there...I happily send a good 30 minutes a day looking at those pics...heaven. Anyway I placed my order, and received a near immediate mail confirmation. A few days later two big boxes, tapped together arrived...inside one were my books (awesomely warped in Japanese newspaper...where upon I spent several minutes catching up with the latest Kendo results). The other contained my Hakama, Keikogi and Shitagi all for the remarkably low price of € 109.00. That's pretty hard to beat. They were individually wrapped and expertly folded. And there was another little surprise...a beautiful trinket was also included. The fabric was both stiff in its hold, yet soft on touch. After Christmas, and after piling on a few pounds I went to my first training session of the year...eager to see how the gear would hold up. It's been 4 months since...and they have been THE ONLY GEAR I HAVE WORN for nearly 4 months of daily training...save the reluctant occasions I have to wash them. They actually snap. It's fantastic. At the end of each definitive movement, a powerful kiroroshi, the punctuation of the o-Chiburui (血振るい)...they just snap. Clean lines, definitive statements. Outside of that they are the MOST comfortable training gear I've worn. Made from a cotton/polyester blend I cannot stress in The Samurai Workshop Review how nice it is to train in these. I've trained in the cold of an Irish Winter where you're you can sit in seiza for hours because you're feet are frozen. I've trained in the rare blistering heat. I've trained for a class and for 6 hour long seminars. I felt clean and crisp throughout. And I won't lie - these are cut and tailored so well, not only do they hold clean crisp lines - they actually make you look slimmer. That's unbelievable. After multiple washes they remain un-faded. After hundreds of hours sliding across the dojo floor, the knees remain as new. The discrete Samurai Workshop logo is the only discrete part of this attire. If you want training gear in which you can train seriously, and train hard and that matches your dedication to the art in ensuring you present clean lines and formidable strength - this is the gear for you. 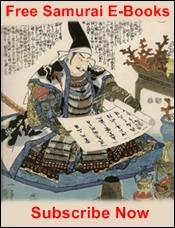 You've been reading about the Samurai Workshop Review. 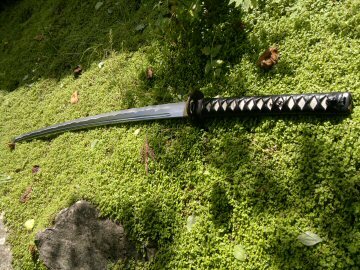 Check out my HIGHLY detailed sword reviews here.